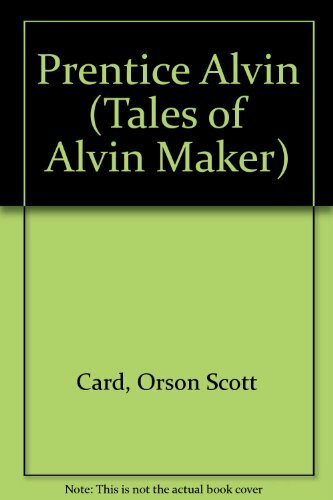 The saga of Alvin Maker, set in an alternative version of the American frontier country, continues, in a tale full of folklore and magic. Young Alvin returns to the town of his birth and begins his apprenticeship with Makepeace Smith, committing seven years of his life in exchange for the skills and knowledge of a blacksmith. But Alvin must also learn to control and use his own talent, that of a Maker, else his destiny will be unfulfilled. About: Alvin returns to his birthplace to become the blacksmith's apprentice and also to learn--hopefully with the help of the Torch-girl--to be a Maker. About: [Audio CASSETTE Library Edition in vinyl case][Read by Orson Scott Card, Gabrielle De Cuir, Stefan Rudnicki] The saga of Alvin Maker, set in an alternative version of the American frontier country, continues, in a tale full of folklore and magic.